Connect with Tech Week gives all of San Francisco a chance to explore and learn something new about technology. A citywide initiative spearheaded by San Francisco Public Library, supported by Microsoft and Friends of San Francisco Public Library and made possible by an inspiring team of nonprofit organizations, companies and city departments, Connect with Tech Week is a week of fun and instructive classes, workshops, fairs and talks. Bring your questions. Food and prizes! Get help with tech. Computer giveaways! Older adults: Come join us on a short fun walk to experience the Mission through your cell phone photos with the guidance of professional street and documentary photographer Harvey Castro. Then we head back to Mission Public Library to learn tips about Instagram, and meet the Eldergram: Aging in Oakland and Cuba photo exhibit project. It's Cinco de Mayo and will be a lively day in the mission! Presented by Community Living Campaign. Mission Branch Library is at 300 Bartlett St. Bilingual in Spanish and English. Adultos mayores: Acompáñenos en una caminata corta y divertida para vivir la Misión por medio de fotos tomadas en celular con la orientación profesional del fotógrafo callejero y documentalista Harvey Castro (www.harveycastro.co). Después volvemos a la Biblioteca de la Misión para aprender consejos sobre Instagram y conocer Eldergram: Proyecto de exposición de fotografía sobre envejecer en Oakland in en Cuba. ¡Es Cinco de Mayo y será un día animado en la misión! Mission Branch Library, 300 Bartlett St. Bilingüe en español e inglés. Craigslist is a useful website for classified ads. You can buy or sell goods and services or find housing or job openings. In this class, we will teach you the basics of how to create a Craigslist account, and how to search for jobs, housing, or goods for purchase. We will also go over how to create and post ads as well as how to delete them. Bilingual in Spanish and English. Craigslist es un sitio web útil para los anuncios clasificados. Puede comprar o vender bienes y servicios o encontrar viviendas o ofertas de trabajo. En esta clase, le enseñaremos los conceptos básicos de cómo crear una cuenta de Craigslist y cómo buscar trabajos, viviendas o bienes para comprar. También veremos cómo crear y publicar anuncios, así como también cómo eliminarlos. Y, finalmente, le enseñaremos consejos básicos de seguridad para que pueda evitar las estafas comunes para ayudar a garantizar una experiencia agradable. Bilingüe en español e inglés. Facebook: Connect with Friends and Relatives (in Tagalog)/ Facebook: Kumonekta sa Mga Kaibigan at Kamag-anak. Mint Mall, 10:30-11:30 am, Monday May 6. Sa Tagalog, ituturo sa iyo ng klase na ito kung paano maghanap ng mga kaibigan at kamag-anak, magbahagi ng mga larawan, at video chat! Dalhin ang inyong smartphone kung mayroon kayo. Ang klase ay limitado sa labinlimang tao; unang dumating, unang pagsisilbihan! Mint Mall, 953 Mission St.
Find friends and relatives, share photos, and video chat -- all on Facebook! Bring your smartphone or tablet if you have one. Space is limited to 15 people; first come, first served. Taught by Julia Isabel Rivera, San Francisco Office of Digital Equity. Mint Mall, 953 Mission St. Presented in Tagalog. Keyboarding (in Cantonese) / 滑鼠與鍵盤入門 . Visitacion Valley Branch Library, 1-2 pm. Monday May 6. Get comfortable using a computer mouse and keyboard during this relaxed and easy basics class. Beginners welcome! Visitacion Valley Branch Library, 201 Leland Ave. In Cantonese. Work at the U.S. Census: Information and application session. Main Library, 5th floor Computer Training Center, 1-2:30 pm. Monday, May 6. Presented by the U.S. Census Bureau. Learn more about working for the U.S. Census and get hands-on help applying online. The U.S. Census Bureau is recruiting for various positions to assist with the 2020 Census count. The positions are well-paying temporary positions, with flexible hours, paid training and local in San Francisco. Positions include office clerk, office operations supervisor, Census field supervisor, Enumerator and recruiting assistant. People with disabilities and veterans highly encouraged to apply. Start now at www.2020census.gov/jobs. Main Library, 100 Larkin St. Preserving Memories. Bayview Branch Library, 1-3 pm. Monday, May 6. Presented by Community Living Campaign. Use a digital scanner to turn your cherished photos, letters, recipes, (even 3-dimensional objects!) into digital images. Then pair up with a computer coach to learn how to share your images with family and friends. Space is limited to 30 people. Bayview Branch Library, 5075 3rd St. Sponsored by the SF Tech Council and the Community Living Campaign. Let's Go Shopping. Portola Branch Library, 1-3 pm. Monday, May 6. Presented by Bolder Adults TechTime. Shall we window shop on the web together? Patient library staff take us for a spin around sites like Amazon, eBay, Craigslist, local stores, SFPL’s subscription to Consumer Reports and Bay Area Consumer Checkbook, while sharing tips for being a savvy and safe online shopper. Portola Branch Library, 380 Bacon St.
Spam and Digital Payments. Main Library, 5th floor Learning Studio, 2:30 - 4 pm. Monday, May 6. A former federal Special Agent discusses spammers, the mechanics of paying online, and other insider internet safety tips. Main Library, 100 Larkin St. Renegade Buggies. Excelsior Branch Library, 4-5:30 pm. Monday, May 6. Discover a fun game on smartphones, tablets and computers for both parents and children, while learning how to save money in the real world. 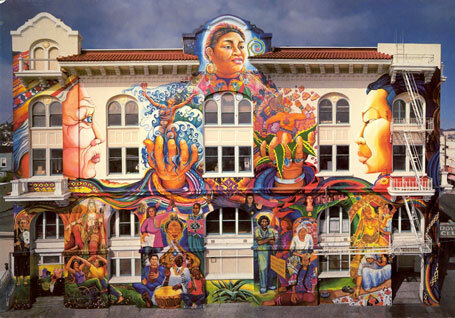 Excelsior Branch Library, 4400 Mission St. Bilingual in Spanish and English. Avoid Scams and Spies. Main Library, 5th floor Learning Studio, 4:30-5:30pm. Monday, May 6. Presented by Gennie Gebhart, EFF. Learn about common internet scams and privacy invasions – and how to protect yourself while using your device or going online. We’ll also explore free apps and tools from EFF to give yourself an online privacy tune-up. Main Library, 100 Larkin St.
Record Music with Blue Bear School of Music. Main Library, 2nd floor Mix: Audio, 4:30-5:30 pm. Monday, May 6. Presented by Blue Bear School of Music. Make use of our studio, the gear, and a professional producer from Blue Bear School of Music to get your song recorded. No experience necessary. Teens 13-18 only. Main Library, 100 Larkin St.
New to social media like Facebook and Twitter and wondering how to get started? Come learn the basics about how to have fun and be safe while sharing online with others. Main Library, 100 Larkin St. Applying for City Jobs though ACE. Main Library, 5th floor Computer Training Center, 11-12 pm. Tuesday, May 7. Presented by Porsche Bunton, SF Department of Human Resources. Learn how to apply online for city employment through the Access to City Employment Program, which provides a route to city employment for disabled individuals. We’ll discuss filling out an application on the new ACE website and obtaining and uploading certification forms. The workshop will also explore the different possibilities that the City and County of San Francisco has in store for future applicants such as: Civil Service and Non-Civil Service routes, understanding the various appointment types, and all of the current ACE level recruitments. Main Library, 100 Larkin St.
Computer Training 101 for Seniors, Ingleside Branch Library, 3 - 4 pm. Tuesday, May 7. Presented by Urban Techies. Learn how to operate a computer, save and open files, and the basics of using Windows. No experience needed. Please sign up (415) 355-2898. Ingleside Branch Library, 1298 Ocean Ave. Become a Salesforce Administrator Main Library, 5th floor Learning Studio, 3:30 - 5:00pm. Tuesday, May 7. Presented by JVS. An introduction to Salesforce Administration, what careers require it, and how you can get trained and certified. Main Library, 100 Larkin St. The Tech Expo. City Hall, North Light Court, 1-3 pm. Tuesday, May 7. Computer Quick Start Club. Main Library, 5th floor Computer Training Center, 3:30-5:30 pm. Tuesday, May 7. Learn new computer skills in a relaxed environment. Today's topic will be Internet, email and smartphone safety. Main Library, 100 Larkin St.
Make Your Own Website. The Mix @ SFPL, 4-5:30 pm. Tuesday, May 7. Presented by Mission Bit. Learn about Wordpress and create your own website in minutes. Laptops are provided, just show up and be curious. No experience required. Teens 13-18 only. Main Library, 100 Larkin St.
eBook Drop-In. Main Library, Atrium, 4-6 pm. Tuesday, May 7. Learn how to download free ebooks and audiobooks from the library. Bring your device for one-on-one help. Main Library, 100 Larkin St.
Coding Club. Bayview Branch Library, 5-6 pm. Tuesday, May 7. Interested in learning how to create your own animated movie, build a computer program, or make your own video game? Then join our coding club at Bayview Library! Our instructor Nadia is a graduate from MIT and is currently working as a software engineer. Please bring your own laptop if you have one, otherwise library laptops are available on a first come, first serve basis. Snacks will be provided. This coding club is for students grades 5th-8th. For more information, please call (415) 355-5757. Bayview Branch Library, 5075 3rd St.
Online Tools for Immigrants. Main Library, 5th floor Computer Training Center, 6-7 pm. Tuesday, May 7. Presented by OCEIA. Learn about digital tools and resources to support SF immigrant communities, including websites and referal tools to connect local immigrants to free SF-based nonprofit legal help and access immigration fee assistance. Main Library, 100 Larkin St.
Dreamers in Tech. Main Library, 5th floor Computer Training Center, 7-8 pm. Tuesday, May 7. Meet Dreamers in Tech, a community-based program focused on tackling the diversity challenge that is impacting our tech industry. Dreamers in Tech provides mentorship, tech, and inclusion workshops for industry professionals and underrepresented individuals. Learn about services and mentorship opportunities. Main Library, 100 Larkin St.
Connect with Tech History & Technology Merge. Main Library, Skylight Gallery, 6-7:30 pm. Tuesday, May 7. Presented by San Francisco Historical Society, Kasey Smith, Chris Arvin. Meet the creators of tech apps using interactive mapping and other technologies to connect users with San Francisco History. Urban Ore: MUNI The San Francisco Historical Society presents SF Urban Ore, an app which explores San Francisco’s hidden history along popular MUNI routes. San Francisco Ghost Sign Mapping Project The San Francisco Ghost Sign Mapping Project is an interactive map, photo gallery, and walking tour series maintained by artist Kasey Smith. The project is dedicated to documenting, researching, and mapping the history and locations of all of San Francisco’s historic handpainted signage.Smith creates site specific installations, performances, and art events with a focus on the ephemerality of the cityscape. Presented by Kasey Smith, an artist creating social practice pieces, site specific installations, and performances events with a focus on the ephemerality of the cityscape. The Bay Area's Lost STREETCARS Explore maps of where historic streetcar routes went and browse thousands of historic photos from San Francisco’s Mission District to the hills of Oakland. Presented by Chris Arvin- designer, problem solver and storyteller. Main Library, 100 Larkin St.
Smartphone Class. Visitacion Valley Family Center, 10-11 am. Wednesday, May 8. Presented by Felton Institute. Learn how to use your Android or iPhone and get the most from its tools and features. Visitacion Valley Family Center, 66 Raymond Ave. Presented in Cantonese. Digital Parents. Twitter NeighborNest, 10 - 11:30am. Wednesday, May 8. Presented by Community Tech Network. Keep your children safe online and learn tools for helping with schoolwork. Free childcare is provided! Call (415) 557-4388 to reserve a spot. Twitter NeighborNest, 95 Hayes St. Presented in Spanish. Facebook: Connect with Friends and Relatives (in Tagalog). Main Library, 5th fl Computer Training Center, 12:30-1:30 pm. Wednesday, May 8. Presented by Julia Isabel Rivera, Office of Digital Equity. Find friends and relatives, share photos, and video chat -- all on Facebook! Bring your smartphone or tablet if you have one. Space is limited to 15 people; first come, first served. Main Library, 100 Larkin St. Presented in Tagalog. Tagalog: Sa Tagalog, ituturo sa iyo ng klase na ito kung paano maghanap ng mga kaibigan at kamag-anak, magbahagi ng mga larawan, at video chat! Dalhin ang inyong smartphone kung mayroon kayo. Ang klase ay limitado sa labinlimang tao; unang dumating, unang pagsisilbihan! Main Library, 100 Larkin St.
Digital Parents. Twitter NeighborNest, 1 - 2:30pm. Wednesday, May 8. Presented by Community Tech Network. Become more confident about parenting in the digital age, and learn how to keep you and your children safe online. Topics include digital citizenship, social media, and online security & privacy. Free childcare is provided! Call (415) 557-4388 to reserve a spot. Twitter NeighborNest, 95 Hayes St. Basic Computer Class. Visitacion Valley Family Center, 1:30-2:30 pm. Wednesday, May 8. Presented by Felton Institute. Learn how to find recipes, videochat with family, get on demand translation, and more – all online! Visitacion Valley Family Center, 66 Raymond Ave.
Streaming without Screaming. Anza Branch Library, 1:30-3:30 pm. Wednesday, May 8. Presented by Bolder Adults TechTime. Stream videos, music, photos, and more from the Internet (including fabulous FREE stuff from Kanopy and hoopla at sfpl.org). We will share how to use devices like Roku, Apple TV, Amazon Fire TV, Chromecast, Smart TVs, smartphones, tablets, and cable boxes. Anza Branch Library, 550 37th Ave.
Chinese News at Your Fingertips. Chinatown Branch Library, 2-4 pm. Wednesday, May 8. Presented by Office of Digital Equity. The Internet now offers more options for accessing news and media than ever before. Participants are encouraged to bring their own devices and will learn how to conenct via apps and websites to local Chinese media outlets, including but not limited to, KTSF, Sky Link TV, World Journal, and Sing Tao Daily. Space is limited to 25 participants, so please sign up by calling (415) 355-2888. Presented in Cantonese. Chinatown Branch Library, 1135 Powell St.
Let Us Amaze You! Useful Tools for Your Job Search. Main Library, 5th floor Computer Training Center, 2-4:30 pm. Wednesday, May 8. This class will introduce you to general resources that will help you become a more informed and empowered job seeker. You will learn about: Where to look for job openings Classes & eLearning Local community job centers Free & low cost career counseling Information for teens, veterans, LGBTQQ & older worker job seekers Résumé tools Job fairs & job clubs Internships & job training Green jobs Tools for researching companies Current salary & job market information Building lists of potential employers & much more… This information will prepare you for a more purposeful & skilled job search. The tools & resources offered are free or low cost and available to all. Main Library, 100 Larkin St.
Use Tech to Grow Your Business. Main Library, 5th floor Learning Studio, 2:30-3:30 pm. Wednesday, May 8. Presented by Caty Kobe, Square Customer Advocate Lead. Join Square's Customer Advocate Lead, Caty Kobe, as she shares tech tools and strategies to help you grow your business smartly and efficiently. Whether you're just getting started or considering a business change, technology can give you back precious time. Caty will also discuss common concerns that small businesses encounter and how to successfully overcome them. Main Library, 100 Larkin St. Ask Me About Tech. The Women's Building, Audre Lorde Room, 3-6 pm. Wednesday, May 8. Presented by The Women's Building. Ask Me About Tech will be a fun tech fair that gives participants the opportunity to ask our experts and volunteers questions related to: smartphones, email, google suite, social media, and cyber security! Additionally, participants will have the opportunity to sit in on an in-depth presentation about online banking. We've have food, beverages, and a fun raffle of 3 computers and other prizes. Bilingual event in Spanish and English. The Women's Building, 3543 18th St.
Design Workshop. Main Library, 5th floor Learning Studio, 4-5:30 pm. Wednesday, May 8. Presented by Ehb Teng, Diginido Labs. Want to design an app or website? Come learn the fundamentals of design and take your ideas from proof of concept to testable prototype! You will level up your design skills by learning about the fundamentals of Design Thinking, ethics in design, MVPs & SLCs, and UX/UI exercises. Main Library, 100 Larkin St.
UCSF Makers Lab Open House, UCSF Makers Lab, 5 - 6 pm. Wednesday, May 8. Did you know there is a Makers Lab in the UCSF Library, with not one, but multiple 3D printers? Are you curious about the applications for 3D printing at UCSF? Join Library staff for a 60-minute pop-up covering the basics of 3D printing. Never used a 3D printer before? This is the perfect pop-up for you. Space is limited; first-come first-served. UCSF Makers Lab, 530 Parnassus Ave, Room 345. Succeeding as a Freelancer (Pt. 1, Wed, May 8 and Pt. 2, Thurs. May 9). Main Library, 5th floor Computer Training Center, 5:30-7:30 pm. Presented by Drew Yukelson, Samaschool. Samaschool equips jobseekers with the knowledge and skills needed to find work online in the gig economy. This course is designed for people want to earn extra cash on their own schedule, who are unemployed and want to get back to work fast, or want to build work experience in their professional field. Attendance at both Part 1 (Wed May 8) and Part 2 (Thursday, May 9) is expected. Main Library, 100 Larkin St. Explore our eBook Collection! Mission Bay Branch, 6-7 pm. Wednesday, May 8. In this one-hour workshop, you will learn how to use Overdrive, Axis 360 and Hoopla. Laptop computers will be available for use, but please feel free to bring your own devices. Mission Bay Branch Library, 960 4th St.
How Much Technology Do You Really Need? Main Library, 5th floor Learning Studio, 6-7:30 pm. Wednesday, May 8. Are you wondering if you need technology in your life? And if so, how much? Join us for this one and a half hour discussion. Topics will include computers, the internet, smart phones, media, and more. There will also be time for a question and answer session. Main Library, 100 Larkin St. Intro to Social Media: What's Easy and What's Safe. Parkside Branch Library, 7-8 pm. Wednesday, May 8. New to social media like Facebook and Twitter and wondering how to get started? Come learn the basics about how to have fun and be safe while sharing online with others. Presented by students of the Specialists Guild. Parkside Branch Library, 1200 Taraval. Affordable Housing with the DAHLIA Portal. Main Library, 5th floor Computer Training Center, 10-11 am. Thursday, May 9. Presented by Barry Roeder and Emily Shore, MOHCD. Search and apply for affordable housing online through San Francisco's DAHLIA portal, which helps users easily search and apply for affordable listings. Individual assistance will be provided. Main Library, 100 Larkin. Can You Read It Now? Main Library, 3rd floor Paley Room, 11-12 a.m. Thursday, May 9. Have trouble seeing the screen or reading your mail? Is the print too small in your favorite books and magazines? Come learn about keyboard shortcuts, CCTVS, magnifying software, and other powerful tools that can make reading easy on the eyes. Main Library, 100 Larkin. Start Your Technology Career. Main Library, 5th floor Learning Studio, 11:30 am - 12:30 pm. Thursday, May 9. Presented by TechSF. TechSF provides opportunities for anyone interested in a career in technology. From the exploratory tech learner to the well-versed programmer who is looking to gain a competitive edge, TechSF has opportunities for up-skilling and job placement available. Learn more about our network of training and employment services. Main Library, 100 Larkin St.
LinkedIn Profiles. Main Library, 5th floor Computer Training Center, 11:30 am -1 pm. Thursday, May 9. Presented by David G. Robins, JVS. Are you confused on how to leverage social media in your job search? Jewish Vocational Service instructor and career advisor David G. Robins has been teaching LinkedIn to job seekers for the past 10 years. He also facilitates a job search strategy group for job seekers ages 50 and older. In this introductory session, David will go over why it’s important to have a LinkedIn profile and what you need in your profile to make recruiters and hiring managers notice you. Main Library, 100 Larkin St. Preserving Memories. Visitacion Valley Branch, 12:30-2:30 pm. Thursday, May 9. Presented by SF Tech Council, Communtiy Living Campaign. Learn how to use a digital scanner to turn your cherished photos, letters, recipes, (even 3-dimensional objects!) into digital images. Then pair up with a computer coach to learn how to share your images with family and friends. Space is limited to 30 people.Visitacion Valley Branch, 201 Leland Ave.
TBBC Appy Hour. Main Library, Talking Books & Braille Center, 1-2 pm. Thursday, May 9. Discover the most accessible apps for people who are blind or visually impaired and learn how to re-envision the way you interact with your world. Along with a chance to get hands-on experience, we'll discuss and try out apps that identify objects, recognize faces, assist in navigation, turn images into text, read your favorite books to you, allow you to receive sighted help from a distance and more. Main Library, 100 Larkin St.
Old Disk, New Tricks. Main Library, 5th floor Computer Training Center, 1:30-3:30 pm. Thursday, May 9. Do you have old Windows or Mac 3.5" floppy disks, CDs, or perhaps Zip disks that hold cherished photos, riveting writing, pixelated clip art, or other files–but no way to access them? Don’t despair! Bring your disks and we’ll do our best to move your vintage files to current storage methods. Bring a flash drive or log into your email to save your files. 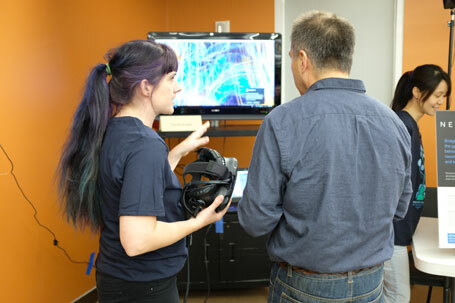 Part of Bolder Adults TechTime, classes geared for adults 50 years & beyond. Learn to use current technology in fun & meaningful ways. Main Library, 100 Larkin St. Stream Movies. Golden Gate Valley Branch Library, 2-3 pm. Thursday, May 9. Learn more about streaming a wide range of movies to your mobile device, laptop or desktop with Kanopy and Hoopla Digital. Golden Gate Valley Branch Library, 1801 Green St.
YouTube Basics. Chinatown Branch Library, 2-4 pm. Thursday, May 9. Tour the basics of YouTube as a viewer, including how to search, subscribe, and create playlists. Limited to 12 participants. To sign up, please call 415-355-2888 or visit the library. Presented in Cantonese. Chinatown Branch Library, 1135 Powell St.
Digital Device Drop In. Main Library, 5th floor Computer Training Center, 4-5 pm. Thursday, May 9. Presented by Bolder Adults TechTime. Patient tech-savvy helpers provide basic support in getting to know your digital device. Main Library, 100 Larkin St. Camera Class! Main Library, 2nd floor Mix: Video, 4-5:30 pm. Thursday, May 9. Learn how to use digital still and video cameras in The Mix's video studio! No experience necessary. Teens 13-18 only. Main Library, 100 Larkin St.
Start Up and Start Change. WeWork Golden Gate, 6-7:30 pm. Thursday, May 9. Presented by City Innovate. Startups can change the world! This panel will discuss how to grow a business that addresses problems in your community.Hear from regional experts and civic do-gooders who are helping to support entrepreneurs develop businesses that have a positive impact on local communities. WeWork Golden Gate, 25 Taylor St.
Internet Safety Basics for Seniors (in Spanish). Mission Branch Library, 6-8 pm. Thursday, May 9. Learn tips for staying safe online, including how to use private browsing, identify phishing scams, safely download software, keep your connection safe with antivirus software and more. Space is limited. To register, call 415-355-2800. Presented in Spanish. Mission Branch Library, 300 Bartlett St.
Smartphone Class. The Village, 1099 Sunnydale, 3rd floor, 10-11 am. Presented by Felton Insitute. Learn how to use your Android or iPhone and get the most from its tools and features. Meet San Francisco's New City Website. Main Library, 5th floor Learning Studio, 12:30-1:30 pm. Presented by SF Digital Services. Learn about the new City government website and how it is being built with you in mind. You will have the chance to tell us what you think and help us make it even better. iPad for Beginners (in Cantonese). Visitacion Valley Branch Library, 1-2 pm. Did you just get an iPad and want to learn how to use it? Come to Visitacion Valley Branch and have fun learning basic set-up and navigation. Presented in Cantonese. Google Photos. Main Library, 5th floor Computer Training Center, 1-3 pm. Google Photos is a photo sharing and unlimited storage service developed by Google. Come learn its features, how to send/search/edit photos, create album/collage, use Google Lens to identify an object in the photo, and more. Presented in Mandarin. Easy Computer Reading with ZoomText. Main Library, 5th floor Learning Studio, 2-3 pm. Presented by Adaptive Technology Services. Wondering how to make the screen easier to read? ZoomText, a screen magnifier and reader, can help. In this introductory class conducted by Adaptive Technology Services, you will learn the basics along with some of its most popular features. Mouse & Keyboard Comfort. Sunset Branch Library, 2-3:30 pm. Are you a new computer user with little or no experience using a keyboard and mouse? If so, come to this class and learn how to left-click, right-click and use basic command keys to achieve digital literacy. Please call 415-355-2808 to sign up. (Somewhat) Guilty Pleasure Series: Cat Videos! Ocean View Branch Library, 2-4 pm. Presented by Bolder Adults Tech Time. Care to kick back and savor the exploits of our feline friends? Patient library staff use a large screen display to take us for a spin around the web to watch the cutest, cuddliest, and most cantankerous cats ever captured on video (plus, you might learn a thing or two, too). Anyone Can Map! Main Library, 5th floor Computer Training Center, 3:30-4:30 pm. Presented by Mapbox. OpenStreetMap is a global, free, open-source map that anyone can improve and edit – like Wikipedia. Join us and learn how to contribute to the map and join the community of mappers! In the second half of the workshop, we’ll use OpenStreetMap to map disaster-struck areas for relief efforts, or help other humanitarian work. Assistive Technology. Main Library, 5th floor Learning Studio, 3:30-4:30 pm. Presented by Independent Living Resource Center. Learn about Assistive Technology that can help you use computers and perform everyday tasks. The Independent Living Resource Center will explain how to sign up for the free Nick Feldman device lending library, which includes tablets and laptops with assistive technology software -- and even technology to help with everyday tasks like cooking. Presenters will also discuss the Economic Empowerment program. Make Your Own Map. Main Library, 5th floor Computer Training Center, 4:30-5:30 pm. Presented by Mapbox. Tired of seeing the same old map? Mix things up with Mapbox Cartogram, a free tool to create colorful, custom maps in seconds. Use data from OpenStreetMap and other sources to make maps of anywhere in the world - then use them in art projects, reports, websites, apps, and more! This fun, all-levels workshop will introduce you to Mapbox Cartogram and Mapbox Studio - from creating a (free) account, to creating your custom styles, to exporting your map. No experience or installs required (bring your laptop or use a Library computer). We'll have some fun, creative challenges to inspire you too! Free Website Coding Workshop for Deaf and Hard of Hearing People. Community Living Campaign, 9:30am - 2:30pm. Presented by Community Living Campaign, Techtonica. Tenderloin Tech Fair. 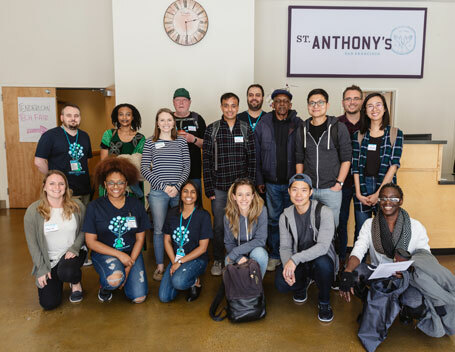 St. Anthony's Tenderloin Tech Lab, 9am - 2:30pm. Presented by St. Anthony's, Stride Center, Techtonica. Get free repair assistance with your computer, learn all about using your smartphone, and even learn to build websites with one-on-one help at the Tenderloin Technology Fair. Don't miss this special event! Computer Repairs 9am – 3pm; Coding Workshop 9am – 3pm; Intro to Smartphone 10am – 11:30am; Smartphone WiFi vs. Data 1pm – 2:30 pm. Signups required for computer repair: call (415) 592-2766. Drop-in Computer Help in Spanish. Main Library, 5th floor Computer Training Center, 10:30am - 12pm. A weekly drop-in service for library patrons who prefer to use the Spanish language to learn how to use a computer. Library staff will provide one-on-one assistance on how to use popular programs such as Word & Excel. Help is also available on how to use email and navigate the Internet. Tablet and Smartphone Class. North Beach Branch Library, 10:30am - 12:30pm. Presented by Community Youths Center. Want to learn how to use a tablet or smartphone? Participants will learn how to access wifi, create emails, download apps, using their own tablet and device. For more information or sign up, please contact Kenny Chong at 415-335-7439. Space is limited. Presented in Cantonese. Bayview Branch Tech Fair. Bayview Branch Library, 11am - 2pm. Presented by San Francisco Office of Digital Equity, dev/Mission, and Tech Exchange. Join for a technology-filled day of computer and mobile device support, community resource tabling, low-cost Internet, and receive a free refurbished desktop computer (while supplies last)! Open to all community members and no pre-registration required. Hosted by the San Francisco Public Library, San Francisco Office of Digital Equity, dev/Mission, and Tech Exchange. Basics of Digital Photo Organizing. Main Library, DIGI Center, 3-4 pm. Do you have photos cluttering up your phone, laptop or in an old shoe box? These memories are in danger of being lost to time. This presentation will introduce participants to solutions for organizing, protecting and enjoying their photos. Library staff will help patrons organize, back up and share their print and digital memories. Cyber Explorers Escape Room. Main Library, The Mix, 3-5 pm. Presented by Cyber Explorer students at Cyber Defenders. Can you puzzle your way out of the Escape Room? The Cyber Explorers Escape Room introduces cybersecurity in a fun and immersive way for teens. This escape room experience requires no prior knowledge of computers, coding or cybersecurity, it thrives totally on curiosity and playfulness! Teens 13-18 only. Introduction to Microsoft Word. Main Library, 5th Floor Computer Training Center, 3-5 pm. Microsoft Word is widely used to create documents for business, education, and personal communication. This is a basic introduction to Microsoft Word and covers the basics of creating written documents such as résumés, school reports, cover letters, and flyers.